The safety of drivers, pedestrians and other users of our highways is directly influenced by the weather conditions on the roads. The accurate measurement of visibility is crucial to protect lives and to ensure that delays caused by extreme weather are minimal. Biral has introduced a highly accurate visibility sensor particularly suited for use on roads that identifies and warns of adverse weather efficiently and reliably. This new sensor adds to Biral’s existing roadside visibility sensor range, used in applications worldwide. 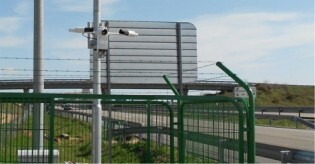 The SWS-050, used for roadside weather monitoring, measures the local weather conditions and will allow the instant relay of this information via electronic signage to road users. The sensor protects against unexpected hazards such as fog patches, by forewarning drivers of the conditions ahead, and by enabling rapid reaction in dangerous conditions by the agencies responsible. 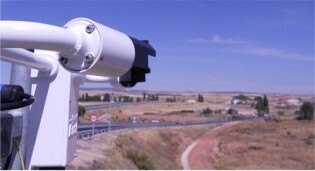 Experts in the design and integration of meteorological and environmental systems,DILUS Instrumentación y Sistemas, has used Biral’s SWS range on many Spanish roads. Emilio de Ugarte, general manager of DILUS, said: “DILUS has developed many projects in Spain and abroad with our new partner Biral. In particular SWS Visibilimeters, chosen for their good performance and quality, have been used in road side meteorological stations”. With a measurement range of 10 metres to 40 kilometres, the SWS-050 is provided with heated hoods and window heaters, allowing continued operation in blizzard conditions and preventing condensation forming on the optical surfaces. The SWS-050 comfortably operates in temperatures ranging from -40ºC to 60ºC and is unaffected by local lights or reflections. Like all Biral products, the SWS-050 performs consistently and continuously in all weather conditions. The sensor is a single lightweight unit constructed of high-grade aluminium, robust enough to easily withstand aggressive roadside conditions for many years with minimal maintenance and without requiring spare parts or consumables. Typically installed within three metres of the roadside, the SWS-050 provides straightforward and concise digital data that integrates easily into any control system, allowing authorities to make timely decisions about switching warning signs and managing road surfaces. The forward scatter design technology, infra-red light source and intelligent sensing technology gives the SWS-050 proven accuracy, reliability and repeatability. In common with all Biral visibility and present weather sensors, where conditions allow, the SWS-050 can be powered by solar energy. This eliminates the need to run power cables to sensors in isolated locations, reducing the installation and running costs. Further information on Biral meteorological instruments for highways is available from Biral on +44 1275 847787 email highways@biral.com or by visiting the company’s website News & Information Centre or Visibility Product Pages.